Reinforce ‘Business’, ‘Empowerment’, and ‘Leadership’ concepts introduced and training methods practiced in preceding trainer certification program. Share new ideas and suggestions from fellow trainers. Explore an alternative to costly in-person refresher trainings for certified trainers. 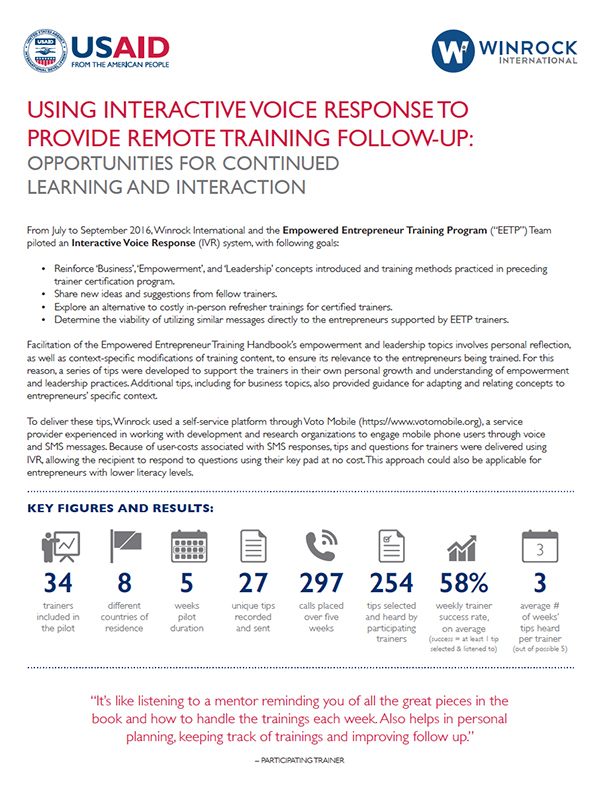 Determine the viability of utilizing similar messages directly to the entrepreneurs supported by EETP trainers.